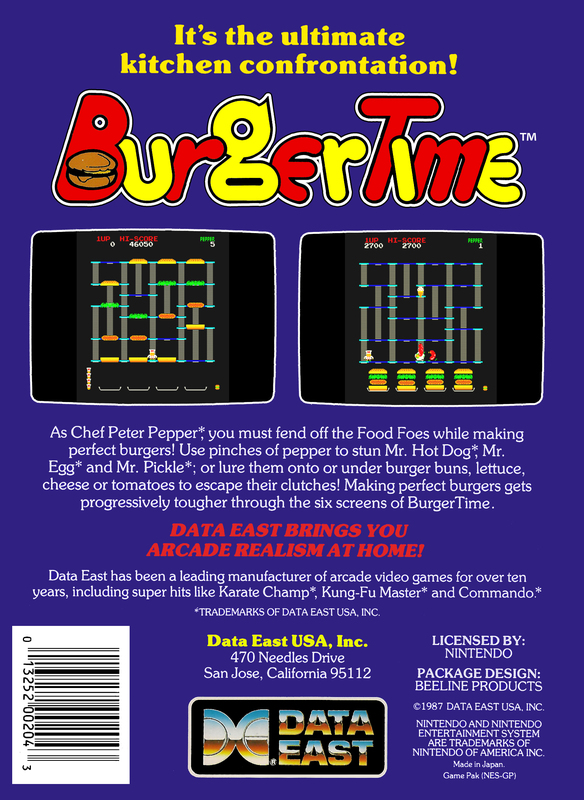 Краткое описание: You play as Chef Pepper and your goal is to make giant hamburgers while evil eggs, sausages and pickles chase you around the game area. To properly make a hamburger you must assemble all of the ingredients together, dropping them from higher up onto the the burger area below. 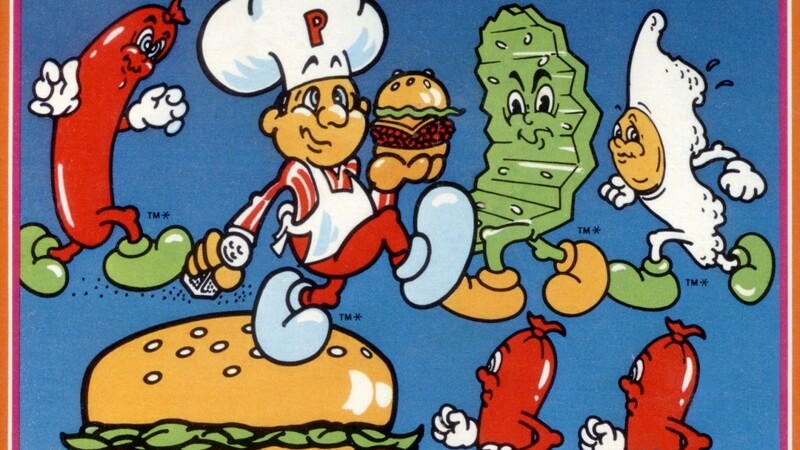 To actually do this you have to let Chef Pepper step all over the burger ingredients. As soon as an ingredient (a piece of lettuce for instance) has been stepped on, it will fall to the next level below. Falling food will squish any enemy following you and will also"bump" any other ingredient bellow it farther down. 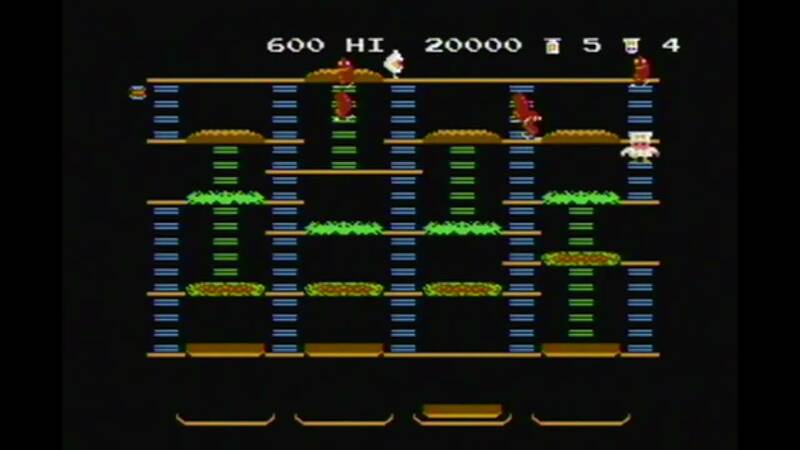 Also, as an emergency defense against the enemy food, you can collect pepper shakers which will allow you to puff out a small pepper cloud which will momentarily stun enemies, allowing you to walk past them. 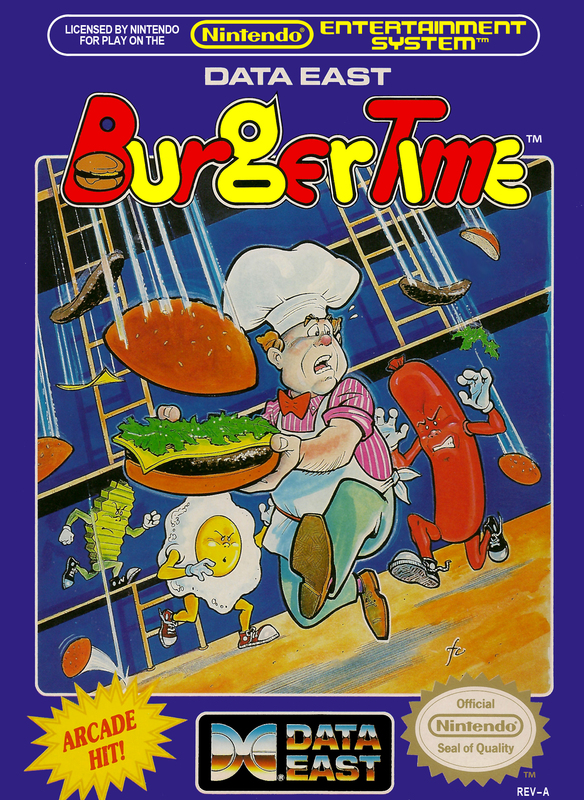 You play as Chef Pepper and your goal is to make giant hamburgers while evil eggs, sausages and pickles chase you around the game area.